Modulites Il y a 7 produits. 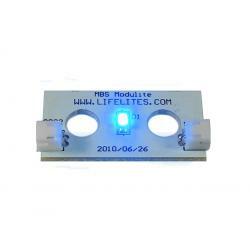 LifeLites moduLite - Blue Need to light up an extra room in your building with moduLites? Grab an extra moduLite without having to purchase a full kit! LifeLites moduLite - Bright White Need to light up an extra room in your building with moduLites? Grab an extra moduLite without having to purchase a full kit! 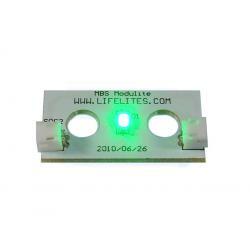 LifeLites moduLite - Green Need to light up an extra room in your building with moduLites? Grab an extra moduLite without having to purchase a full kit! LifeLites moduLite - Red Need to light up an extra room in your building with moduLites? Grab an extra moduLite without having to purchase a full kit! LifeLites moduLite - Warm White Need to light up an extra room in your building with moduLites? Grab an extra moduLite without having to purchase a full kit! 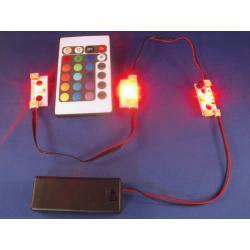 Lifelites ModuLite RGB Slave Unit Extra ModuLite RGB slave unit and 4 conductor interconnect cable for use with ModuLite RGB kit.